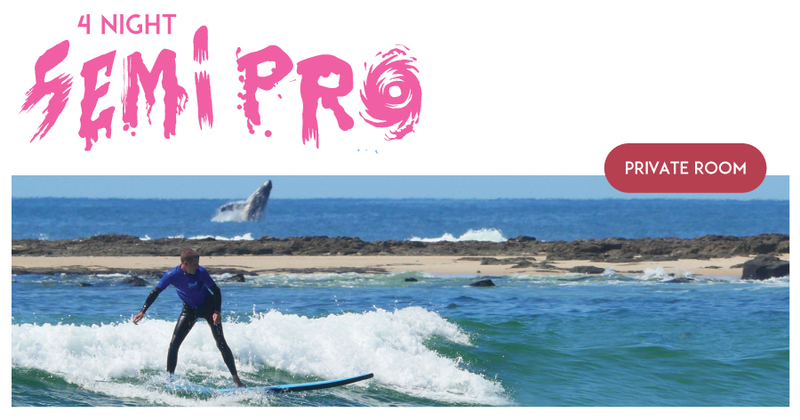 4 night Private (1 Person) Surf and Stay "The Semi Pro Package"
If you have never surfed before, or you are looking for a refresher course, the 4 day Escape Package is the perfect short break for you. Let us guide you through multiple techniques and watch your surfing develop over this fun intensive course. By the end of the Surf and Stay you will have all of the skills necessary to hire your own equipment and continue your surfing development on your own.